y Dietrich et al. (2013) was used for locally visualizing and characterizing the gas–liquid mass transfer. 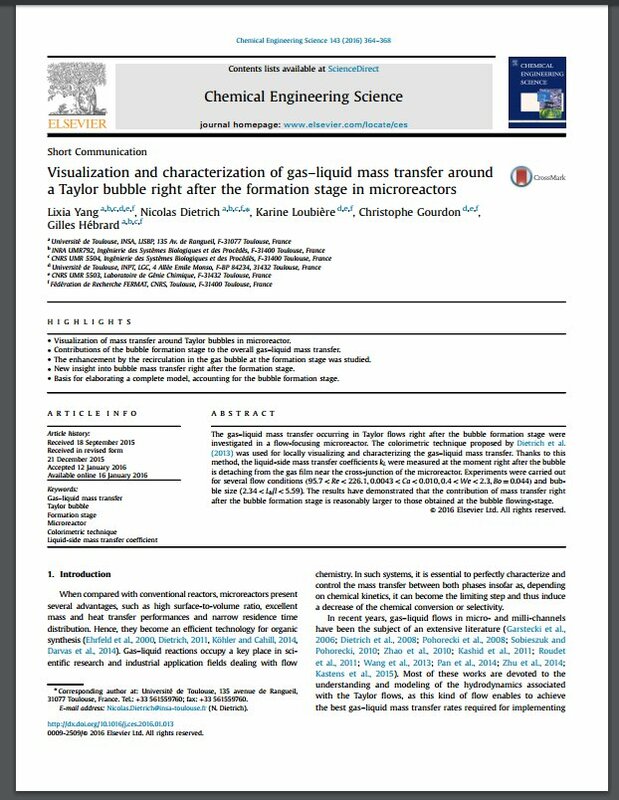 Thanks to this method, the liquid-side mass transfer coefficients kL were measured at the moment right after the bubble is detaching from the gas film near the cross-junction of the microreactor. Experiments were carried out for several flow conditions (95.7<Re<226.1,0.0043<Ca<0.010,0.4<We<2.3,Bo=0.044) and bubble size (2.34<Lb/l<5.59). 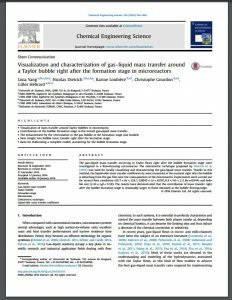 The results have demonstrated that the contribution of mass transfer right after the bubble formation stage is reasonably larger to those obtained at the bubble flowing-stage.